Still in the early stages of development, virtual reality is nevertheless nothing new on a conceptual level for most. We've all seen it in the movies, and as often tends to happen, we end up creating the gadgets that the creatives behind our favorite sci-fi flicks dream up. Or well, not us, but rather some much craftier folks. In any case, it's fair to say that VR is still a few years away from prime time. Display resolutions aren't high enough, the surrounding ecosystem of app and game experiences is just starting to take off, and most people don't even own a headset capable of immersing them into virtual reality. Quite frankly, until very recently, we didn't even have one at the PhoneArena offices to really go the distance with. With half a dozen Samsung Gear VRs now sitting on the shelf, that problem's solved, and we've been consuming as much VR content as we can get our hands on. Our initial impressions were confirmed: the platform is still very new, and there isn't an abundance of quality productions. More often than not, apps tagged as VR-friendly are rather disappointing. But there are a few robust solutions freely available for everyone to try out, and we thought we'd highlight them for any VR enthusiasts who're considering investing into a headset. Let's dive in! The Street View module of Google Maps has, by now, become pretty much synonymous with 360-degree, panoramic imagery, and that makes it absolutely perfect for viewing in VR. And we don't mean just having a look at the street in front of your house, but diving into the treasure trove of exotic 360 imagery that Street View offers. Want to check what it's like over in Antarctica? No problem. Check out that post-Armageddon island in Japan from that one James Bond movie? Done. Climb to some of the highest mountains on the planet? Easy. All these experiences are available with just a few clicks through the Street View app—just tap on the goggle icon to enter VR and start viewing! #360Video is technically a YouTube channel that the official Google Cardboard app suggests you install, but don't let that fool you: it's friggen awesome! Provided you've got yourself a VR headset, you'll be able to jump into the cockpit of a Swiss fighter jet, do some base jumping (epic, by the way), or even check out the surface of Mars as if you're right there with the Curiosity rover. The first time you try a horror game in VR you just know: the genre is perfect for the medium. Seriously, despite the early 2000s style graphics, VR Silent Home gave us quite a few scares, what with the awkwardness of moving around and having stuff pop right in your face randomly. If you thought desktop horrors were scary, just wait until we get some AAA titles for VR—it's a whole different level of freaky when you're virtually inside the game. Courtesy of The New York Times, the NYT VR app reeks of an experiment the publication is running to see how readers would react to news stories presented in virtual reality—probably just in case it really takes off in the future. To make use of the app, you choose pieces that were shot entirely in 360-degree video, and dive right into the story each tells. In our experience with the app, there are a few things that can be improved—like cutting on the number of really short clips within stories, as you don't have enough time to figure out what's going on—but overall it was interesting getting our news fix this way. Okay, so VR Silent Room was perhaps a bit too effectual in scaring the crap out of us, so we didn't really stick around for long. We can do without the stress. Once you start feeling likewise, you might want something just as effectual, but less taxing, and Voxel Fly VR is the answer. A simple dodge-the-obstacles style game, Voxel Fly was a surprisingly enjoyable experience in VR as we could comfortably sit on the couch and just tilt our head left and right, up and down, to dodge incoming traffic. As with other mobile games, simple as it is, it turned out to be quite addictive. Lands End is good if a little short. Street view is good one for real VR experience. The 360 view lends itself well to VR but it's not going to wow anybody unless they're easily impressed. Gunjack and Anshar Wars are pretty fun. If you like Gunjack, you'll like Anshar Wars. basically you shoot down other ships but wherever your head moves, that's where your ship moves and also shoots so it's a complete 360° experience. I'm guessing Anshar Wars 2 is better but I'm not sure exactly since I haven't purchased it. That sounds pretty good, will check this out later. I think them to give a try! 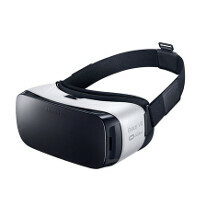 I wish Nintendo would make a VR version of Super Mario World, Super Mario Kart and Zelda to play on the Gear VR. Even games like Mortal Knombat would be awesome if we could pay in VR. Samsung has shown some serious moves for VR and I am glad they lowered the bar of entry which was a pricey over-expensive set of goggles. Now that its $100, the bar of entry has been lifted. So much better than the VR ViewMaster for the iPhone. Really? Have to check it out. Hope its good. I have google cardboard but haven't not used it yet too much! Haven't not yet used it too much? What does that mean? That you're using it in obscene amounts but not too much or that you're hardly using it? I hope Pokemon Go will utilize VR.